The Imperial Hotel, one of Japan's finest places to stay, opened its doors in 1890. Since then it has offered impeccable service and red-carpet treatment to guests from Japan and around the world, whether they stay the night or just drop in for refreshments. The Imperial maintains the traditions of an old and respected hotel while introducing new ideas as well, continually redefining the meaning of service par excellence. The Imperial experience is Japanese hospitality at its best. 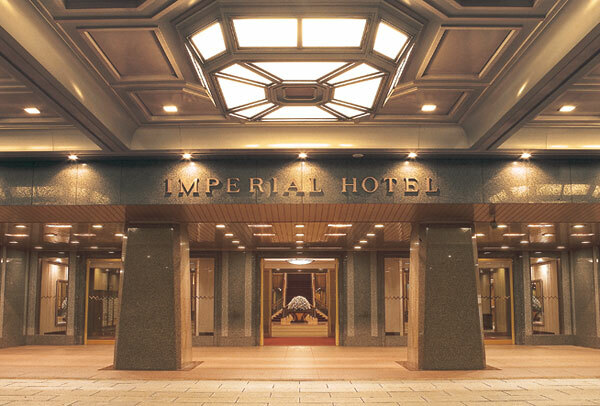 The Imperial Hotel, Tokyo, is located in the Hibiya district in the center of the metropolis. At the hotel entrance, doormen are always ready with a smile to open car doors and help visitors out or in—3,000 to 4,000 cars a day! The doormen have coins and small bills in their pockets to exchange for any guest who arrives in a taxi with only large bills to pay the driver.